After months of dealing with lawyers and the Trinity River Authority, raising funds, and waiting for the process to proceed to each “next step,” we are finally seeing the fruition of our work. 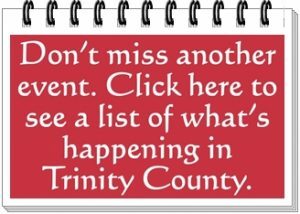 In September Justice of the Peace Precinct 1, Danny Martin, Trinity County News editors Michael Schuetz, and Dr. Sharon Schuetz held a community meeting to select a committee who would take the project to completion. Members of that meeting elected Terry Threlkeld to serve as Manager, Ron Crone, Assistant Manager, Jennifer Staples, Secretary, Sharon Crone, Susan Martin, Tammy Muir, and Betty Busch to serve on the committee. This committee has taken on the task of getting the goats and doing what is needed to maintain them in the future. After signing a two-year lease with the TRA for grazing rights on the island, the committee has purchased ten nanny goats and 1 Billie goat which are at the Groveton High School being examined, wormed, and monitored by the FFA teacher Larry Fortenberry and his students. 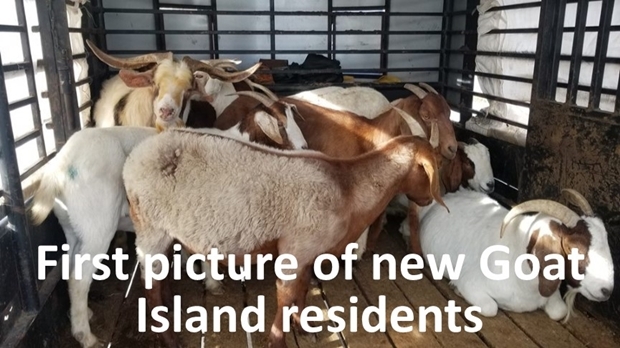 On Sunday, December 2, at 3 PM, we will bring the goats to their new home on Goat Island. 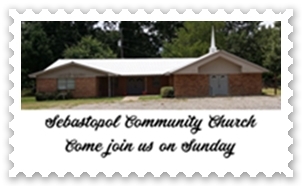 Trinity County News will be there to broadcast Facebook live for those who cannot attend the celebration. None of this would be possible without the following community members who donated money to help with the finances. In August a gofundme account was set up to raise funds to buy goats and take care of the fees and expenses to repopulate the island. Thanks to the generosity of 32 of Trinity County’s residents we were able to raise $2,000.35 to cover expenses and start a fund that will continue to be used in the future. Thanks to all responsible for making Goat Island, Goat Island Again!